Team members are: left to right Faith Gros (Blue team), Jada Galliano (Blue team), Shelby Giroir (Blue team), Sarah LeBlanc (Gold team), Madison George (Blue team). 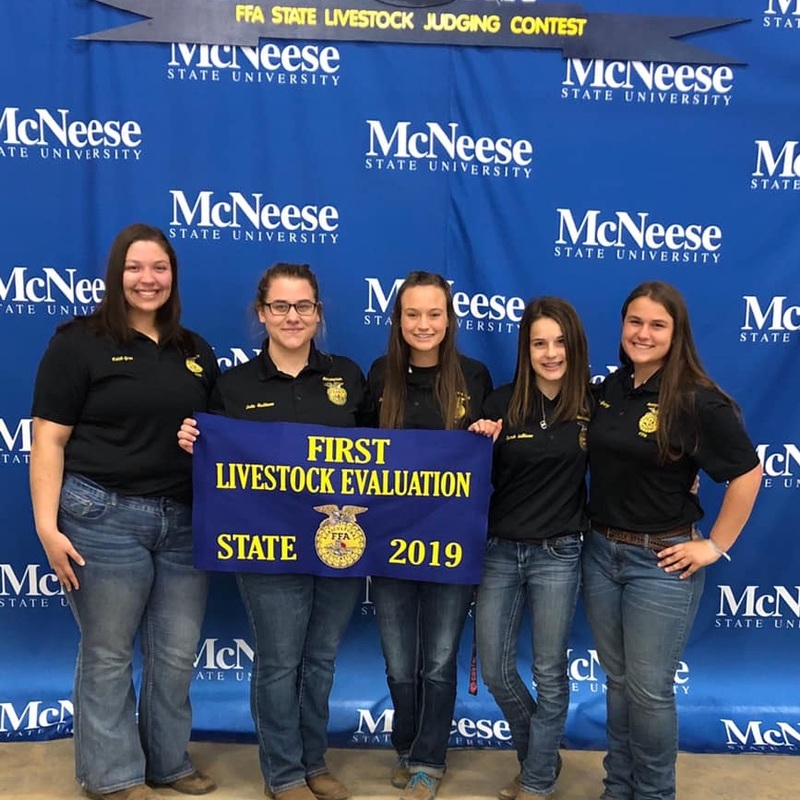 The Assumption High Livestock Evaluation Team competed at the State competition, hosted by McNeese State University, in Lake Charles. Our team placed 1st and qualified to represent Louisiana at the National competition held in conjunction with National FFA Convention in Indianapolis, IN this October. Two team members placed in the top 5 individually… Faith Gros #2 and Jada Galliano #5. Congratulations and best of luck at Nationals ladies!! !